Giovanni has been working for some major US corporations since 1997 and he is a Social Media enthusiastic user and professional. 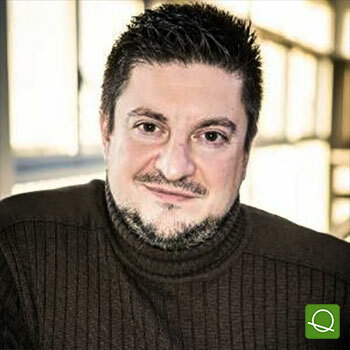 Italian based in Montpellier (France), he has covered different management roles in Customer Services, Programs, Executive Escalations and Social Media. In 2010 Giovanni was appointed as leader of the Social Media Support team for Dell which is currently up and running in 15 different languages with 250+ specialists. Recently Giovanni joined Royal Canin, a division of Mars Petcare, as the Global Customer Care and Social Media Director. Prior to Royal Canin, Giovanni has a 17 years experience with Dell and 5 years in Compaq/HP in Europe and in the Middle East, with a background in foreign languages, management and communication and a passion for photography. Today Giovanni is regularly invited to international events and university master degree classes to share the Dell Social Media experience in Customer Services and to deliver lectures on the impact of social media customer experience in the B2C and B2B business. CASE STUDY: Build a comprehensive social care strategy for the brand.